This panel is based on the award winning Pathfinder. The Pathfinder Panel is great for visual tracking, fine and gross motor dexterity, eye-hand coordination, and developing sensorimotor skills. 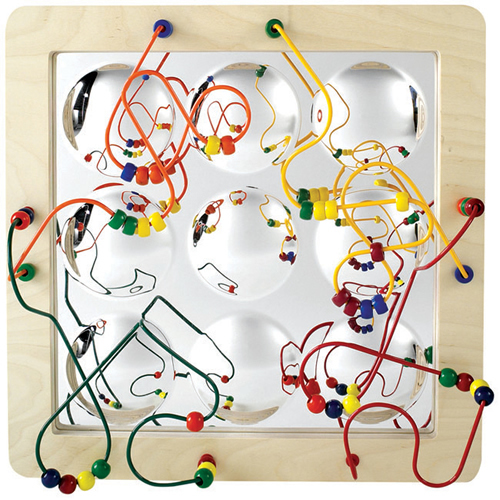 Decorative and fun with no loose pieces, it's great for homes, doctors' offices, and waiting rooms. Nine spherical concave mirrors fascinate children and adults alike as images grow larger and smaller depending on the angle of view. As beads travel along the wires in front of these “lunar mirrors”, their shapes and sizes change. Physics becomes a fun and captivating experience for even the youngest child. Five fun toys combined into one! 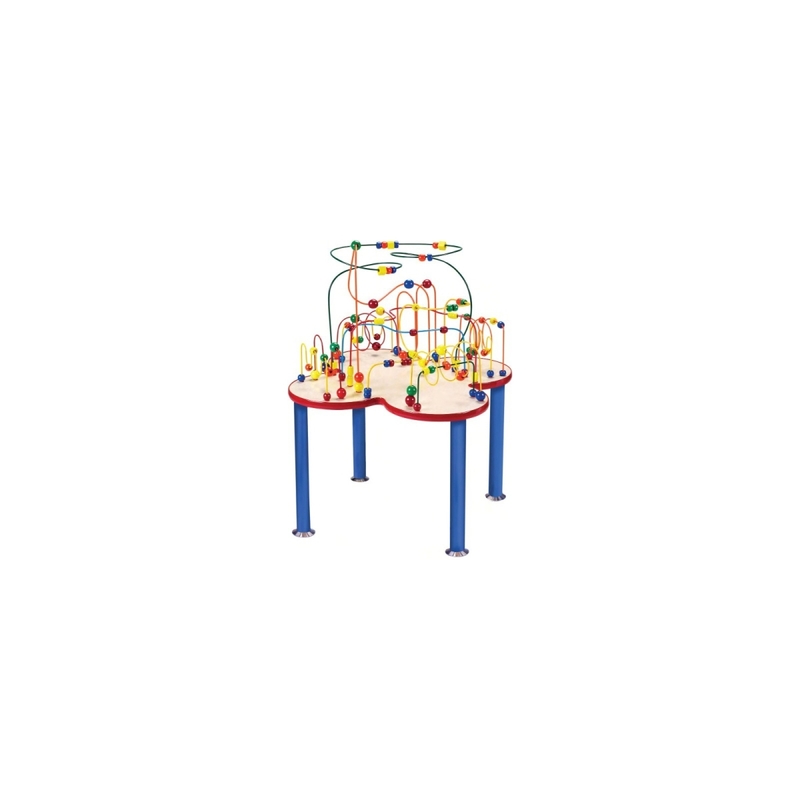 The Caterpillar Pathfinder, Marble Run, Ladybug Counter, Gear Fun and Busy Roller coaster challenge a multitude of learning and developmental skills while keeping children thoroughly occupied. An extremely attractive design makes the Pyramid of Play a great entertainment centre for homes, schools and waiting rooms! 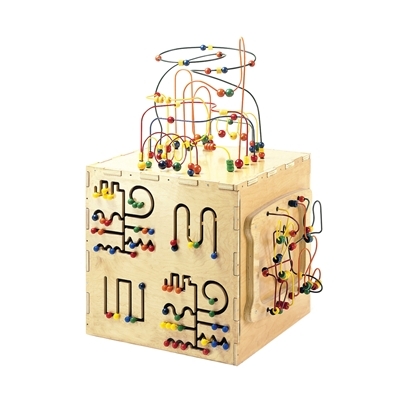 The Play Cube is found in many doctor's offices, schools, waiting rooms, and even homes. It is ususally the center of attention and a place where children of all ages congregate to play. An attractive piece of furniture and wonderful play center all in one... guaranteed to keep kids of all ages entertained for hours. 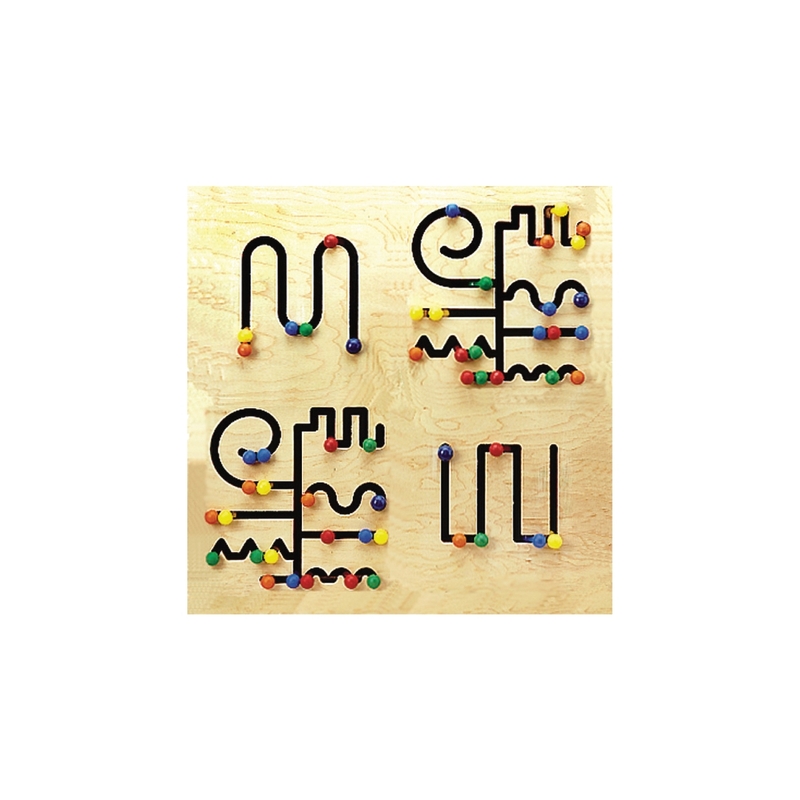 Five Sides of Play include: Rollercoaster Bead Maze, Pathfinder Panel, Magnet Express Panel, Ziggidy Zag Panel, and Sculpture Maze Panel. 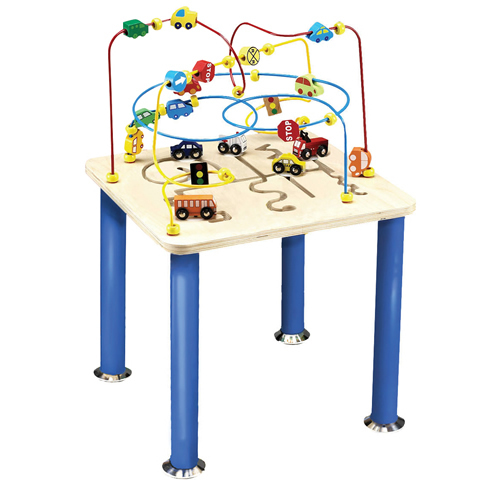 A wonderful activity center for home, doctors' offices, schools, and waiting rooms. 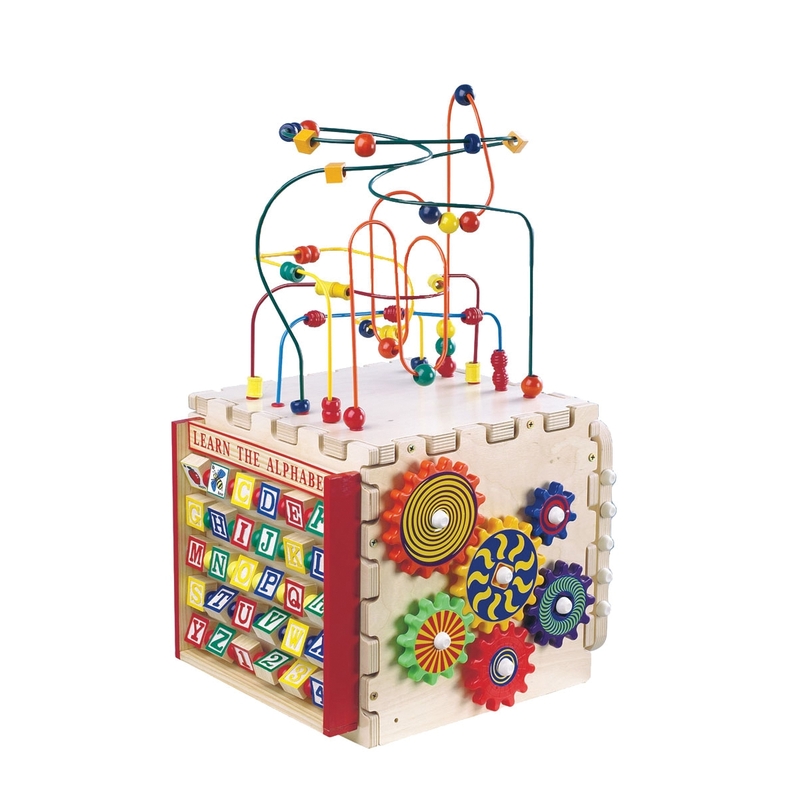 Five fun toys include: Mini Rollercoaster Express, Pathfinder, Counting Abacus, Learn the Alphabet, and Fun Gears! Children learn counting, cooperative play, alphabet, and eyehand coordination. Set it on the floor or on a table top. The excitement of city life is experienced on this table featuring everyday traffic congestion! Vehicles such as a passenger car, police car, fire engine, mail truck, bus and ambulance travel the roadways trying to get to their various destinations. In order to do so they must backtrack and change directions to avoid ‘oncoming traffic’. 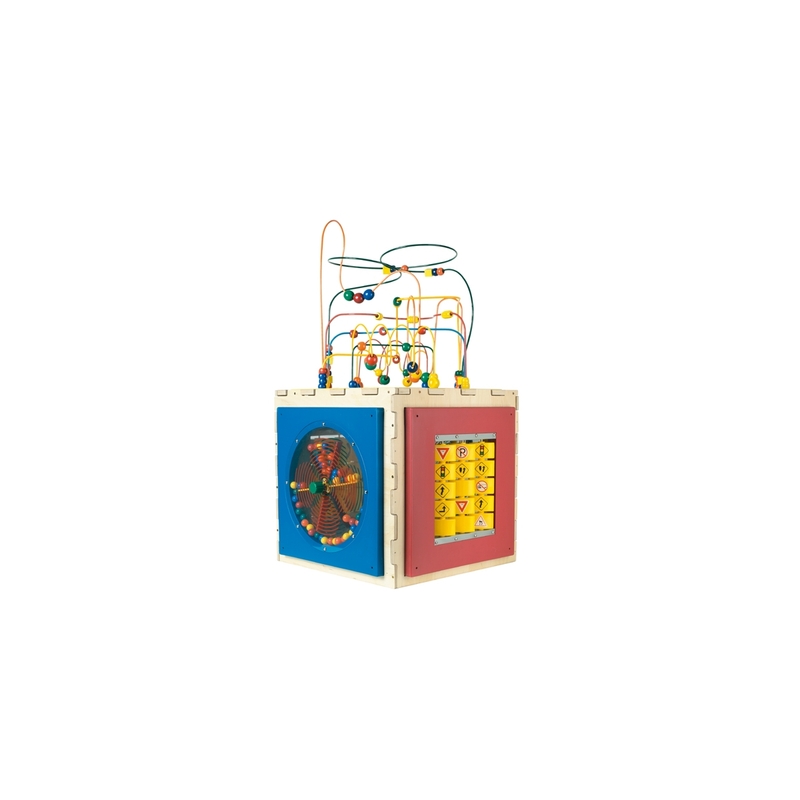 The wires and beads with brightly painted traffic signals and stop signs add to the imaginative play. This children’s stool which will brighten any play area. 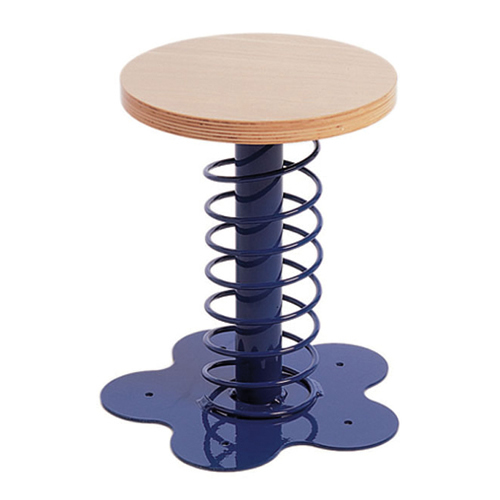 It has a sturdy engraved 'Mr Spring' wooden seat and can be bolted to almost any floor surface. An exciting toy, the Six-Sided Play Cube brings together seven different games into one great cube! Innovative design coupled with excellent activities means hours of stimulating, dynamic play. Topped with the highly-popular classic Beaded Wire Rollercoaster, the cubes sides each feature a classic Anatex game. 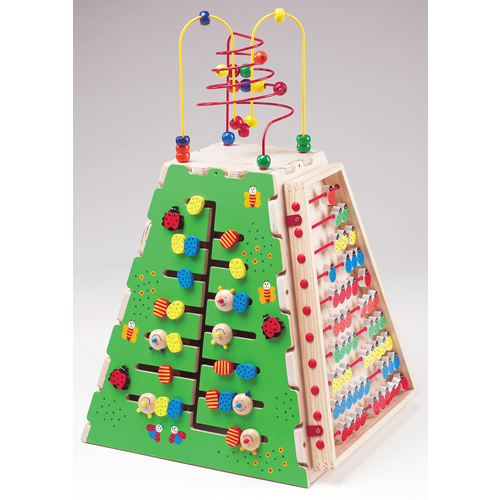 Included are: Pathfinder, Learn the Alphabet, Abacus, Gears, Magnetic Circle Express and a Ziggidy Zag Panel. 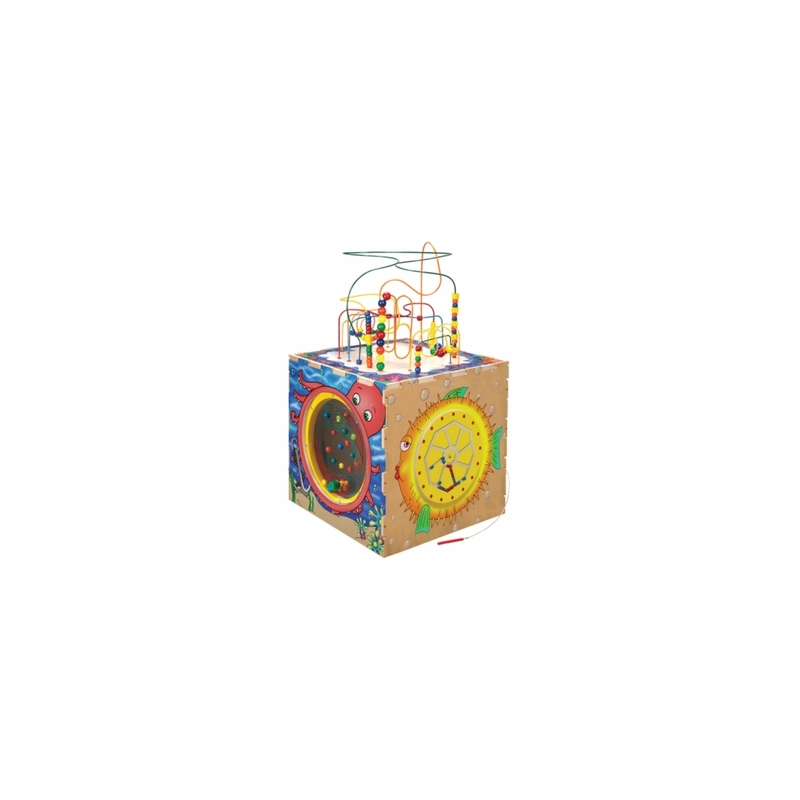 Not just entertaining, but also educational this activity cube enhances visual tracking, letter/colour recognition, counting, hand-eye coordination and more! A sensory adventure! Five sides of play include: Tic Tac Toe, Flipper Game, Traffic Memory Game, Fun Paddle Wheel and Rollercoaster Bead Maze on top. A great activity centre for play areas, schools and waiting rooms. 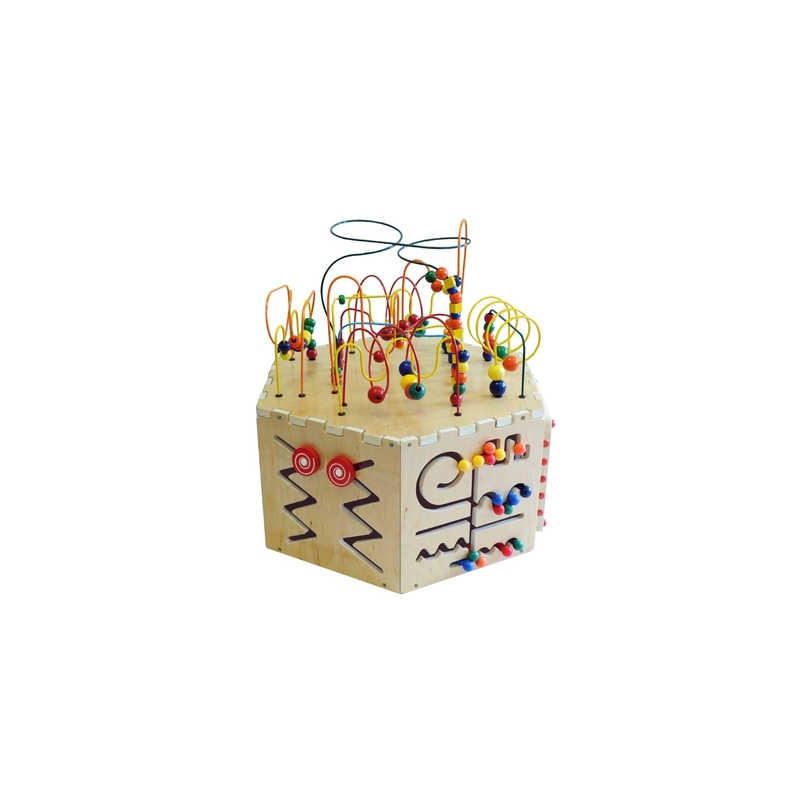 A wonderful activity center for homes, schools, waiting rooms and doctors' offices and an eye-catching centerpiece for any child's room. Children learn colour recognition, counting, hand-eye coordination and cooperative play. A child magnet!